Steamboats/Hotpots are one of the best things to eat on a rainy day. If I could, I’d eat steamboat at least once a week. 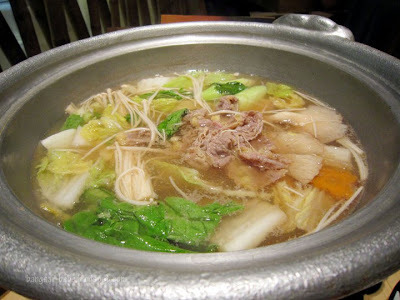 Besides the traditional steamboat dinners, I love going for shabu shabu (Japanese for hotpot). 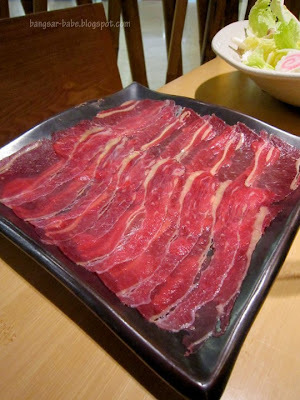 I find the Japanese version more elegant; with thinly sliced meats, fish and vegetables. Of late, I’ve been frequenting Yuzu at The Gardens for their shabu shabu promotion. Christy and I chanced upon this a few months ago when we were looking for a place to eat. 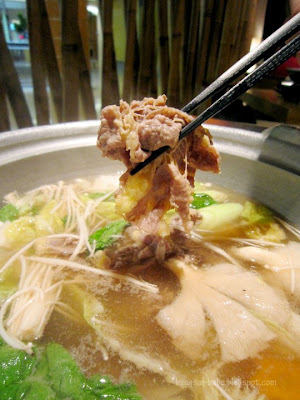 The all-you-can-eat shabu shabu promotion cost RM98 for a minimum of two pax. 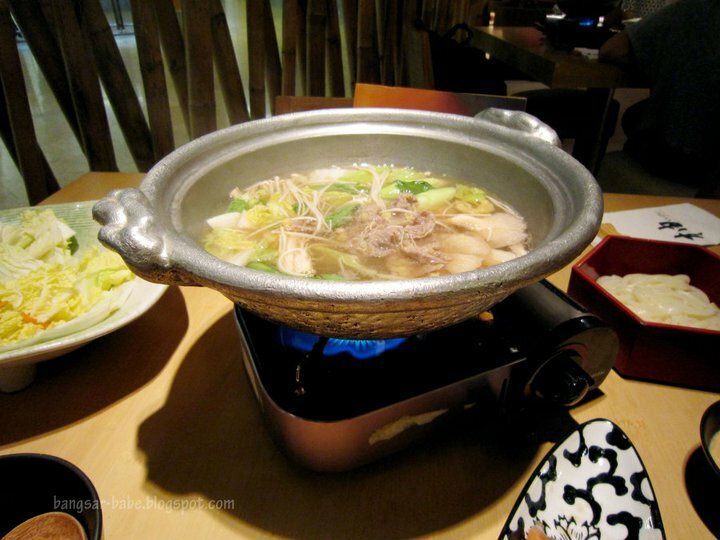 If you’re dining in a group of odd numbers, the extra one person only needs to pay RM49 to enjoy the shabu shabu. The promotion gives diners a choice of beef or fish (salmon and yellowtail), or both. No prize guessing which option I went for. You also get udon and fresh vegetables to cook in the soup. Basically, everything is DIY. 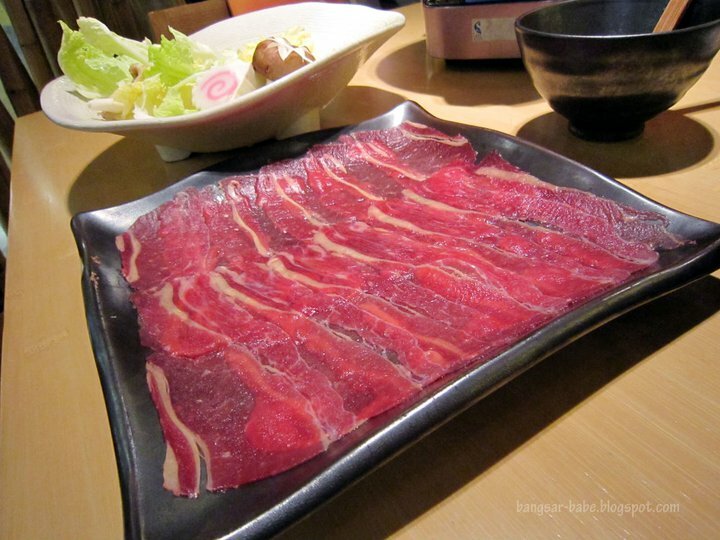 You take raw strips of thinly sliced beef and swish it into the boiling pot of soup. 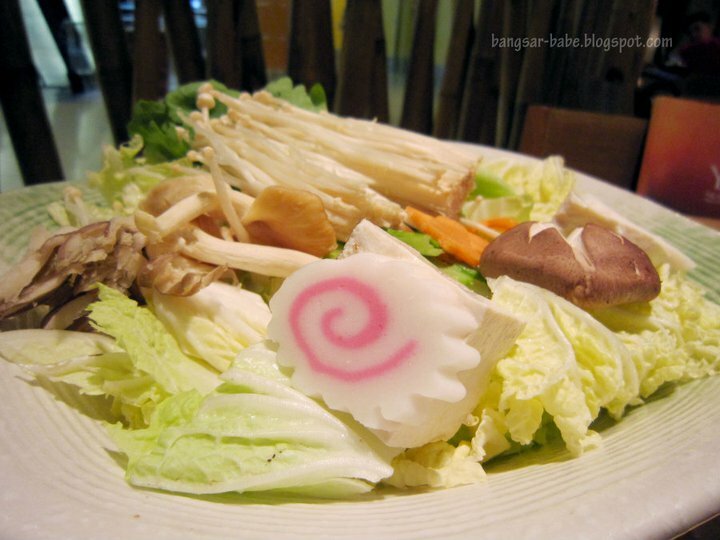 Shabu shabu also stands for “swish swish”. Since the meat cooks quickly, do not leave it in there for too long or it will become rubbery. A good 15-20 seconds will do, in my opinion. Compared to the other shabu shabu places I’ve been to, the beef and fish at Yuzu is of better quality. The meat is tender and lightly streaked with fat. 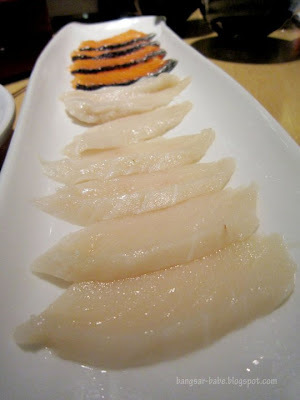 I also enjoyed the yellowtail and salmon – both were fresh and succulent. Fish cooked just as quickly as beef, so make sure you remove the fish slices when they are done. Otherwise, you won’t be pleased with the outcome. 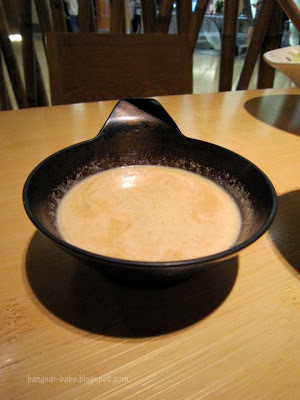 The vegetables at Yuzu were crunchy and sweet, which helped flavour the broth. Once the broth has been flavoured with the fat of the beef, fish and vegetables, add in the udon for maximum satisfaction. That is if, you’re not too stuffed from the unlimited supply of beef and fish. Service has been consistently decent and for slightly over RM110, it’s pretty value for money. When we were there, Christy and I polished off 8 plates of beef, 4 plates of fish, 2 bowls of udon and 2 servings of vegetables. Beat that. Verdict: Good value for money, considering the quality of the ingredients used. The beef looks really good! Competition is stiff I guess. 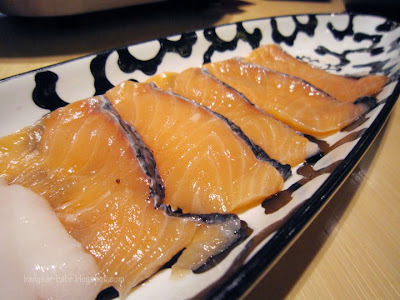 Yuzu was once one of the best Jap restaurants, at least the ones in malls. Interesting. Didn't notice the promotion when I was there a couple weeks back. Is it available throughout the week or just on selected hours / days? ohh reminds me i should head to the jap restaurant down the street that does a 30aud all you can eat shabu shabu before the hot weather comes! just out of curiousity if its such value how does price have a rating of 5/10? haha. Chong – It's throughout the week. It's on their banner outside the restaurant. J2Kfm – Tell me about it! 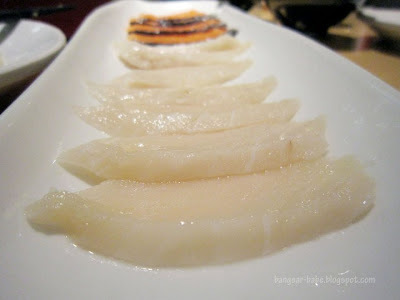 I paid close to RM400 for dinner with rif last month. Michelle – Not much. There were two tofu cubes in the vegetable platter.